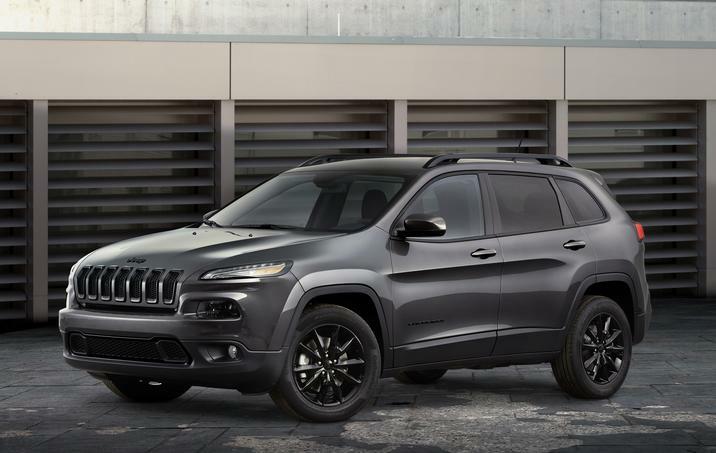 Jeep announced at this past week’s Houston Auto Show that it will soon be releasing Altitude special edition models of the 2014 Cherokee, Grand Cherokee, and Wrangler. The Altitude special edition vehicles will each feature their own distinct take on a “blacked-out” exterior and are slated to arrive at showrooms later this spring. The Altitude look has already been made available on the Jeep Compass and Patriot, and the warm reception to those vehicles since their introductions more than two years ago was more than enough inspiration for Jeep to expand the Altitude special edition lineup. The 2014 Cherokee Altitude will be based upon the Latitude, come in 4×2 or 4×4 configurations, and offer either the 2.4-liter MultiAir®2 Tigershark I-4 or 3.2-lier Pentastar V6 engine. It will features gloss black grille surrounds, roof rails, front fascia lower appliqué, badging, and 18” aluminum wheels. The 2014 Grand Cherokee Altitude will be based on the Laredo model, come in 4×2 or 4×4, and feature the 3.6-liter Pentastar V6 engine. Unique “blacked-out” features include gloss black bezel inserts for the front grille, fog lamp bezels, lower front fascia appliqué, badging, rear step pad surround, and 20” five-spoke aluminum wheels. 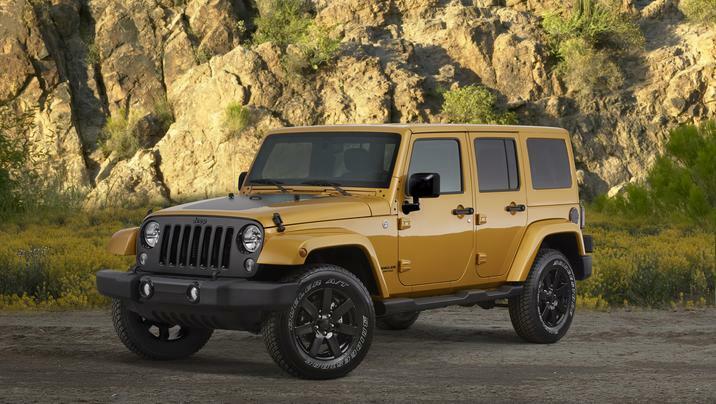 The 2014 Wrangler Altitude will be based upon the Sahara model, come in two-door and Unlimited four-door models, and feature the standard 3.5-liter Pentastar V6. Altitude aesthetic cues will include matte black grille, head lamp rings, Jeep badge, gloss black front and rear bumper appliqués, and a matte black “WRANGLER” decal on the hood. 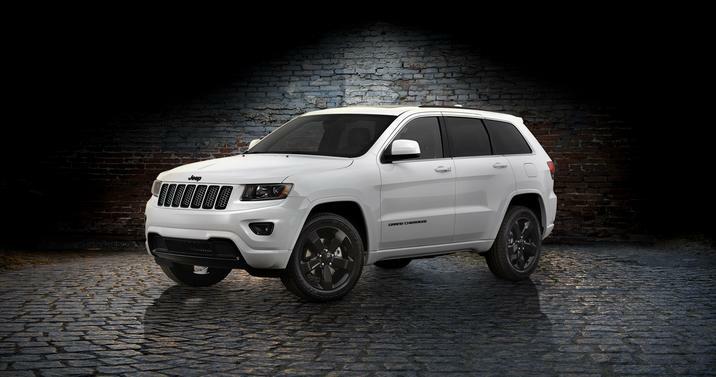 For more information on the 2014 Altitude special edition vehicles, including specs and pricing, refer to Jeep’s press release.